Evansville, IN – The Austin Peay State University (APSU) men’s basketball had a tough time against Belmont’s Dylan Windler, and ultimately it led to the Governors departure from the 2019 Ohio Valley Conference Men’s Basketball Tournament, with the Govs falling 83-67 at the Ford Center, Friday, March 8th, 2019. 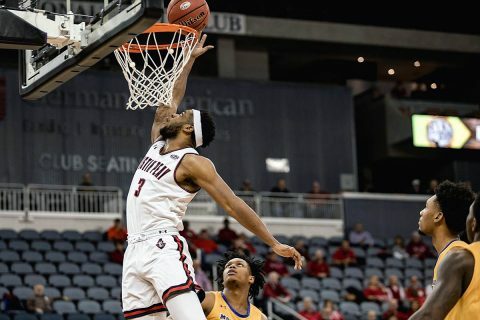 Evansville, IN – Whatever struggles the Austin Peay State University men’s basketball team endured in the season’s final week, you can forget about those now. The Govs got back in the win column with a 95-81 win against Morehead State, advancing to the Ohio Valley Conference Tournament semifinals for the second consecutive season and third time in four years, dominating the low post to take care of the Eagles for the third time in 2019. 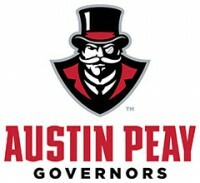 Clarksville, TN – Thursday, March 7th kicks off Austin Peay State University’s (APSU) stay in Evansville for the Ohio Valley Conference Men and Women’s Basketball Tournament and single-session tickets are on sale now through the Austin Peay ticket office. 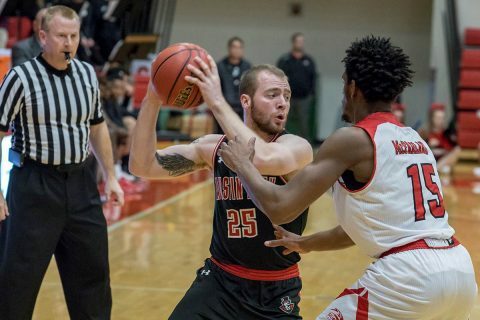 David Midlick and the women’s program open play 1:00pm, Thursday, against fourth-seeded Tennessee Tech; as the fifth seed, it equals the Governors best seed during Midlick’s tenure as head coach. Clarksville, TN – One more goal remains for Austin Peay State University (APSU) men’s basketball team this season, and the Govs begin that march Thursday in the Ohio Valley Conference Tournament quarterfinals. 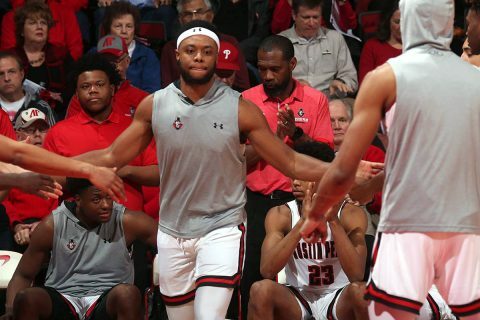 Austin Peay will face the victory of Wednesday night’s opening-round contest between Morehead State and SIU Edwardsville; the Govs went 4-0 against those squads in 2018-19 and have not lost to either since 2017. 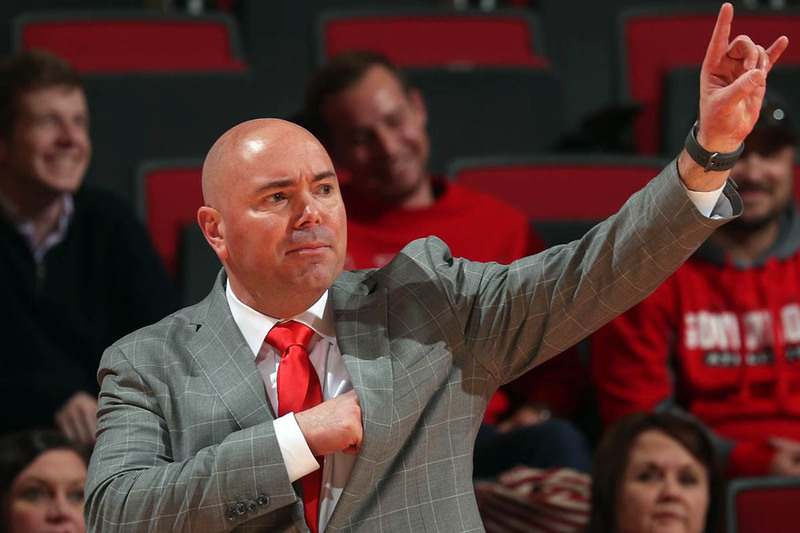 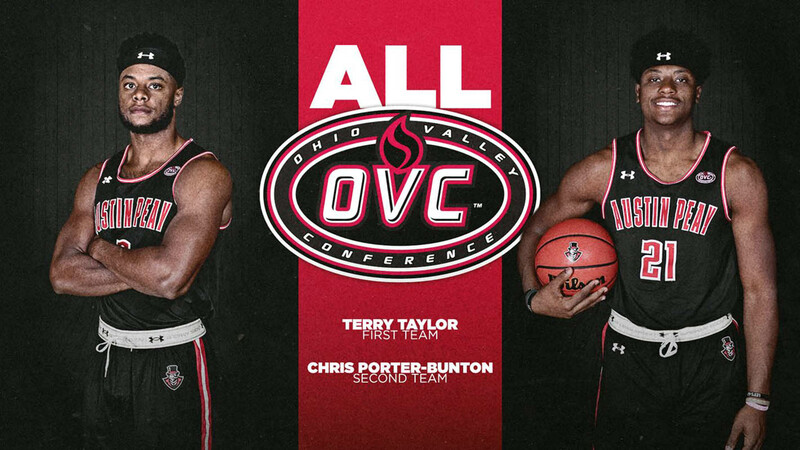 Brentwood, TN – The dynamic duo comprising Austin Peay State University (APSU) men’s basketball teams low-post starting lineup has earned distinction from the Ohio Valley Conference’s coaches and sports information administrators. 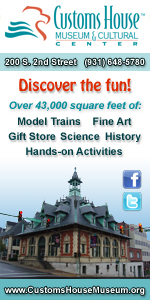 Clarksville, TN – Save the best for last, right? That’s what the schedule-makers did when they saved the Ohio Valley Conference’s most storied rivalry for the regular season finale, when Austin Peay State University (APSU) men’s basketball meets archrival Murray State Saturday at the CFSB Center. 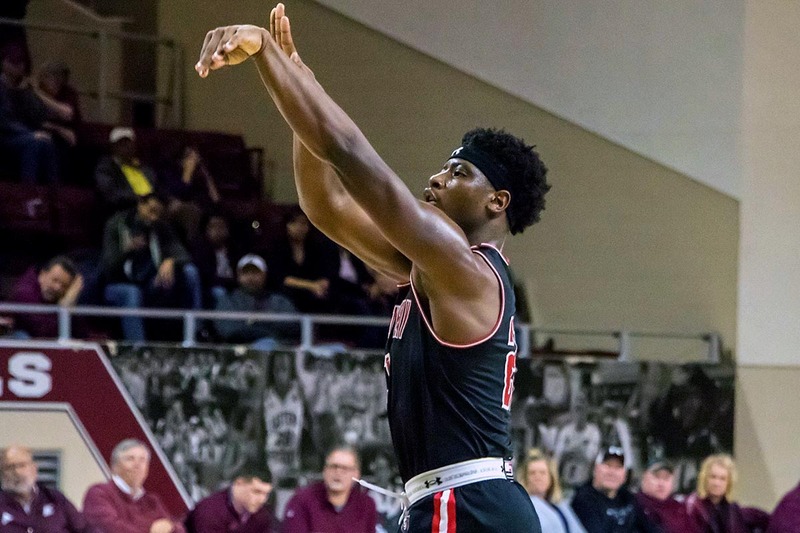 Richmond, KY – Despite an outstanding individual performance from sophomore Terry Taylor, the Austin Peay State University (APSU) men’s basketball team could not hang on, suffering an 82-80 to Eastern Kentucky at McBrayer Arena, Thursday. Despite 37 points from Taylor, Austin Peay (21-9, 13-4 Ohio Valley Conference) shot below 40 percent from the floor for just the fourth time this season. 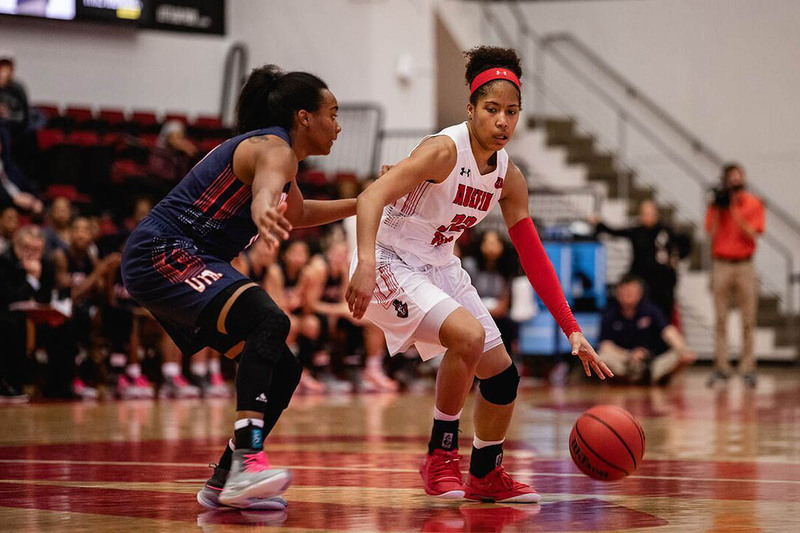 Clarksville, TN – Austin Peay State University (APSU) women’s basketball team wraps its regular season with a two-game road weekend, beginning with a 4:00pm, Thursday, February 28th tip, at Eastern Kentucky. Clarksville, TN – The penultimate contest of the 2018-19 season finds Austin Peay State University men’s basketball team in Richmond, Kentucky against an upstart Eastern Kentucky squad with much on the line. 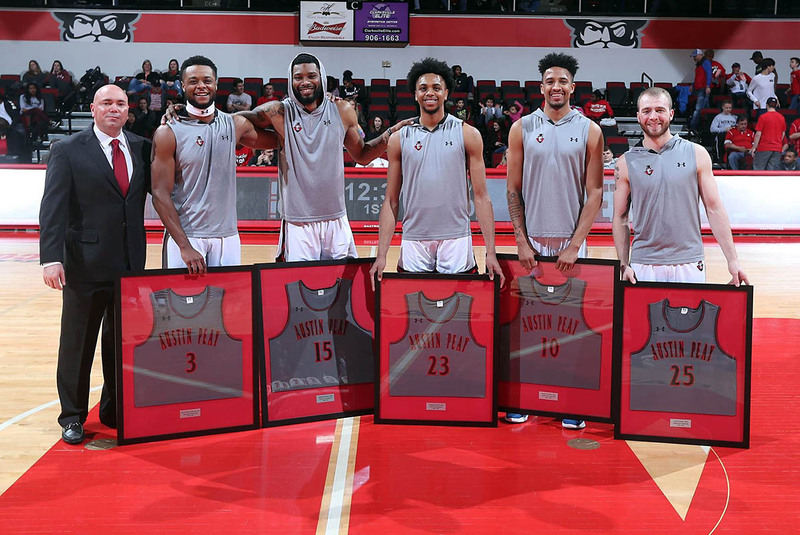 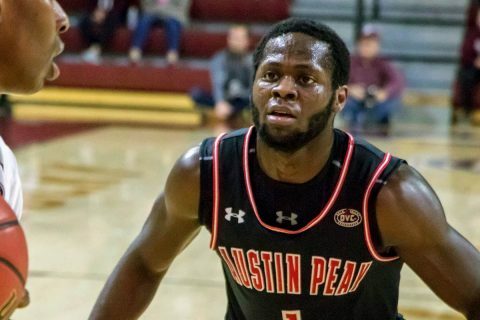 Clarksville, TN – For its final 2018-19 regular-season appearance in the Dunn Center, Austin Peay State University (APSU) men’s basketball team put on a show. 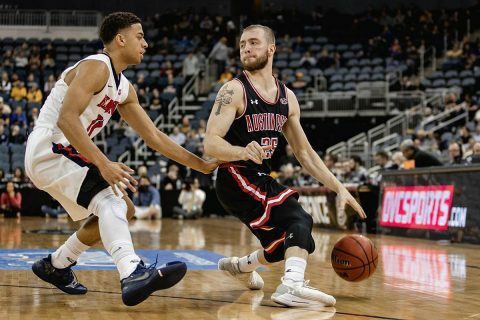 After a first half back-and-forth against a UT Martin team fighting for its life among the Ohio Valley Conference’s swollen middle-class, the Govs blew away the Skyhawks in the second half to remain in the hunt for a two-day bye into the upcoming OVC Tournament semifinals after a 92-78 win on Senior Night.